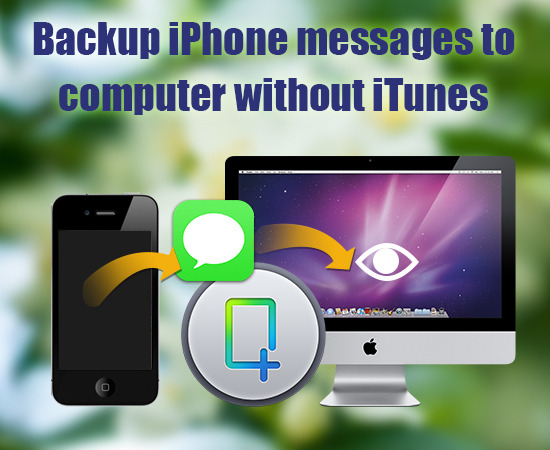 Actually, there are many third party tools we can choose to backup iPhone message in the market addition to iTunes. This data backup software could access iPhone and copy messages from iPhone to computer; we only need to select a trustworthy software. 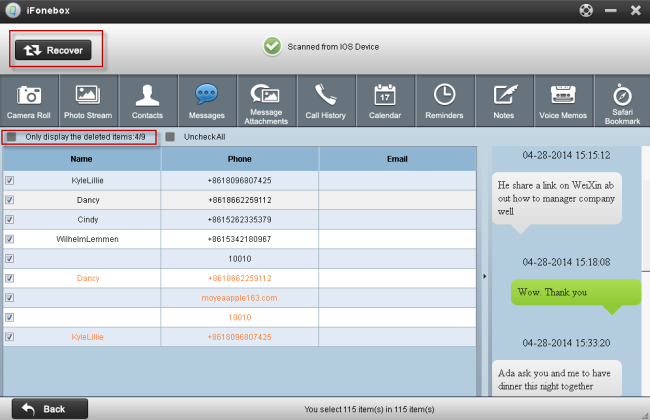 Here we will show the tutorial of transfer iPhone messages to PC with iFonebox, an easy-to-use and professional iPhone data backup and recovery software. Mature and stable performances make it standout in market. Free download the trial version of iFonebox by clicking below icons. both Windows&Mac are available to iPhone 5s,iPhone 5c,iPhone 5,iPhone 4S,iPhone4 etc. Step 1. Connect your iPhone to computer, install and lunch the iFonebox without opening iTunes. 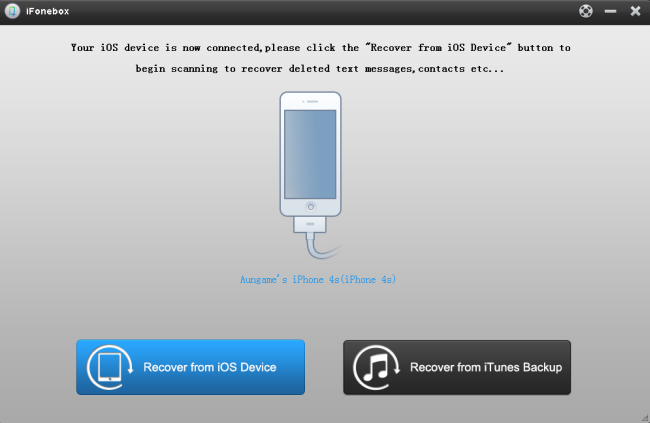 Choose “Recover from iOS device” in below interface. Step 2.iFonebox will scan your iPhone automatically, when the scanning finished, files will be extracted from your iPhone and displayed in categories including photos, messages, contacts, notes and so on. Move your mouse to “messages” and choose those you want to copy by clicking “Recover” button to backup them on computer as CSV or HTML format. Whatever files you want to backup and export is all up to you. It’s simple enough. Note: The messages displayed in the scan result contain deleted and existing messages on your iPhone. Both of them have their own color. You can checkbox “only display the deleted items” to separate them. in this way, you canpreview and recover the deleted messages. iFonebox has the most powerful function of Recover deleted data,when you accidental deleted Contacts, Notes, Calls, Calendar, Reminder, and so on. This tool could help you find them back with ease! Can BlackBerry Z10 play DVD ISO/IFO files?